I also learned much about the officers who command Russian submarines from studying case histories of the accidents that sent the Kursk, Kossomolets and K219 to the bottom. Again like their counterparts, the Russian officers care deeply for the men they command. At the start of the novel we see Yuri, in desperation, taking software engineer, Laura, hostage. Laura’s story is a complicated one, can you tell us about it? Laura is a strong woman, an engineer with superb technical skills that helped transform a tiny software development start-up into a world-class enterprise. But she’s flawed, blinded by love and her overconfidence that she can solve any problem. Instead of dumping Ken after he began abusing her, Laura made it her mission to change him—another problem to solve. It took several years and one final beating, however, before Laura finally admitted to herself that she had failed—the first real failure of her life. 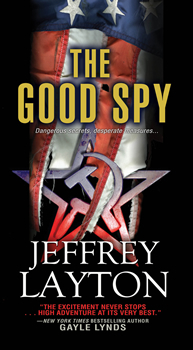 Every good thriller is packed full of tension, and reviewers are saying that THE GOOD SPY is no different. How difficult was it to maintain the pace of the story? The story’s pace is driven by several factors. First, there is the sinking of the submarine and the fate of the survivors. Yuri’s interaction with Laura is the second dynamic. Their relationship starts as captor versus captive, which evolves to escapee confronts confessor, and finally ends with friend helping friend. Another key driving factor in the story is the tension between the Kremlin and Russian intelligence operatives sent to assist Yuri. That tension transforms into conflict between the operatives themselves. Finally, there is the conflict between Laura and her husband Ken. At first, Ken’s goal is to save their marriage but when that effort fails he seeks retribution―not just from Laura but Yuri too. Were you conscious when you were writing that you had to keep your readers guessing? 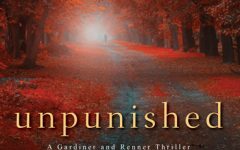 To me, creating and maintaining suspense in a thriller is paramount. In THE GOOD SPY, I tried to maintain tension by running multiple storylines simultaneously and creating conflict between the principal players. Another element of suspense that carried through the entire story was the decompression sickness that plagued Yuri. That impairment was with him continually and it impacted nearly everything he did. Is it getting the facts right that makes a spy novel, or that character-driven novels make the fantastical world of espionage more believable? It is a combination of both. As an engineer, it’s easy for me to get carried away with the technology. I have to be careful in that regard because too much detail can turn off readers. Likewise, characters that do not resonate with readers will torpedo a clever plot. For THE GOOD SPY, I tried to marry the high-tech world of submarine espionage with two complex and diverse adversaries―Yuri and Laura―who eventually become allies and then end up both targeted by a jealous lover seeking revenge. What is the most frightening thing that has happened to you while researching a work in progress? In one of my earlier novels, Warhead, I learned how easy it would be to cobble together a Hiroshima-type nuclear weapon with a just small quantity of weapon’s grade uranium. After the breakup of the Soviet Union, tons of highly enriched U-235 was stored in dozens of installations scattered across the country. A number of those facilities had minimal security. Once I learned this I developed this fear that some of that material had or would or eventually end up in the hands of terrorists. This isn’t the end for Yuri or Laura though. How many more books can we expect in the series? And are you working on these now? At least three―and hopefully many more. Having just submitted the manuscript for The Forever Spy to my publisher, I’m about ready to start planning the third Yuri Kirov book. Not yet titled, it will likely be a continuation of The Forever Spy. Jeffrey Layton is a professional engineer who specializes in waterfront and coastal engineering. He received his B.S. and M.S. degrees in civil engineering from the University of Washington. Jeff is a member of the American Society of Civil Engineers and the Marine Technology Society. He is also a member of the Authors Guild, Pacific Northwest Writers Association and ITW. 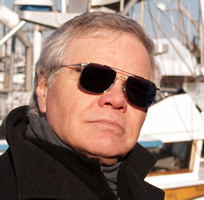 Jeff uses his knowledge of diving, yachting, offshore engineering and underwater warfare in the novels he writes. He lives in the Pacific Northwest.